Experts in all things automotive! After 46 years, our Springfield shop has closed to accommodate the Bass Pro Shops area expansion, but the story isn’t over. Check out the video below to see how Seeburg is starting a new chapter in Springfield. Seeburg Service Center is proud to be a locally owned auto repair and mechanic shop that has been providing top-of-the-line automotive services to drivers in Rogers, Springdale, and Fayetteville, AR for over 40 years. As a 3-location, family-run shop, we are dedicated to customer service and expert car repairs. 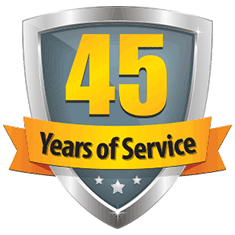 We have become the number-one destination for customers searching for the best auto repair, muffler, exhaust, and oil change services in the area, because we live by our commitment to honest repair and getting it done right the first time! 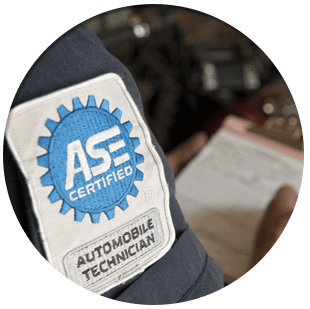 Our ASE-certified mechanics specialize in all things auto repair and maintenance, as well as mufflers, oil changes, exhaust systems, brakes, and smog/emission repairs. Our highly trained team has many years of experience in custom exhaust systems and installation, performance mufflers, exhaust repair, and catalytic converter repair. All of these parts make a tremendous difference to your car’s overall health, fuel efficiency, and the environment! Customer comments are very important to us because it helps serve you better. Please take a minute to fill out the customer survey in order to share your experience with us. We offer same-day mechanic service at all 3 of our locations and most services can be performed while you wait. You will always receive a detailed estimate of repairs before any work is done! For our customers’ convenience, all of our locations are open Saturdays from 8-5. We also offer a secure Early Bird/Night Owl drop box if you need to bring your vehicle in outside of our normal business hours. In addition, all of our shops are certified vehicle emissions and inspection facilities, and we offer FREE exhaust and brake inspections!